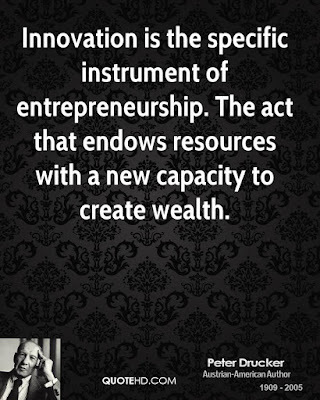 Musings 'n scribblings of a philanthrope .. : Why is innovation important in organisations ? In the present day all managerial processes in organisations aim to utilise resources in the most efficient way and to be highly responsive to customers. Organisations thus work to their optimal levels over time and try to be very efficient and effective. What does it mean to be efficient and effective ? Peter Drucker has once told - Efficiency is doing things right, effectiveness is doing the right things. Let us try to understand this in great detail. Efficient working refers to the way organisations use the different resources of time, space, employees, materials, effort, technology, machines and processes. The different production scheduling algorithms, time scheduling principles, effective layout designs etc lead us to high usage and utilization of resources bringing down the overall costs of manufacturing and related processes in the supply chain. The metrics are mostly related to costs, time, resource usage per unit of output etc.. Effectiveness on the other hand refers to the way the organisation meets the customer needs and requirements in the most optimal way. It mostly relates to the feedback from internal and external customers and the ease with which the customer is able to meet his needs and expectations. A metric is the level; of customer satisfaction with the product or process. The question anyone would finally ask is, what happens if we are both efficient and effective at the same time. In fact, in most of the cases in spite of all uncertainties and risks involved, with a little bit of discipline, commitment and passion, all processes would become over time, efficient and effective. But is it the end of industrial development or societal improvement ? No, humans continue to improvise the existing processes and innovate on existing methods. As long as humans can think and act, they would have new and new ideas to carry out jobs in a more efficient and effective manner and that is what we finally call as innovation. "The enterprise that does not innovate inevitably ages and declines and in a period of rapid change such as the present, the decline will be fast." Because the purpose of the business is to create a customer, businesses have got only two basic functions - marketing and innovation. Marketing and innovation produce results, all the rest are costs. If we had mastered the act of communication using Posts to the maximum efficiency and effectiveness, we would have had letters which would reach its destination within the country may be in a day or two and replies too take the same two days. But the innovation of applying the principles of electronic communication in the human domain connecting networks across the world through the Internet, the slow communication mode of Post translated to the rather quick one these days of electronic mail or e-mail in short. In the course of four or five days, we can now have at least ten to twenty full completed conversations and transfer of ideas between people and entities through email. Email, which is a great innovation that has affected the communication world, has thus shortened the time it takes to complete conversations and transactions, giving way to more numbers of communications and transactions taking places. It has made human life easy, effortless, more creative and productive.. 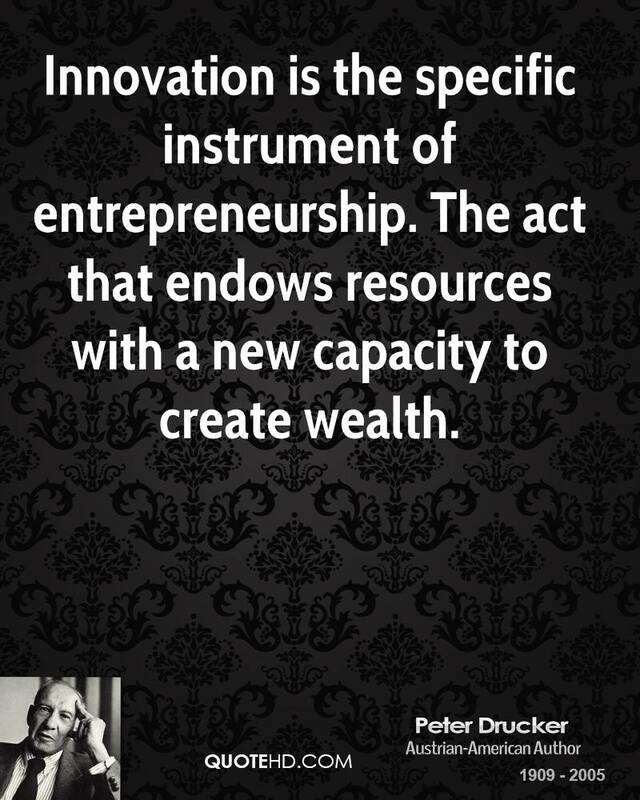 Innovation creates wealth in the long run and the modern civilization depends so much on creating wealth and propping up our Gross Domestic Product or GDP.